Friday night sees the Kirk Irrigation Harvest Hill-Climb, where drivers race up to the top of the hill on Point Bush Rd, just past Harvest Bar & Kitchen, and scream back down again. 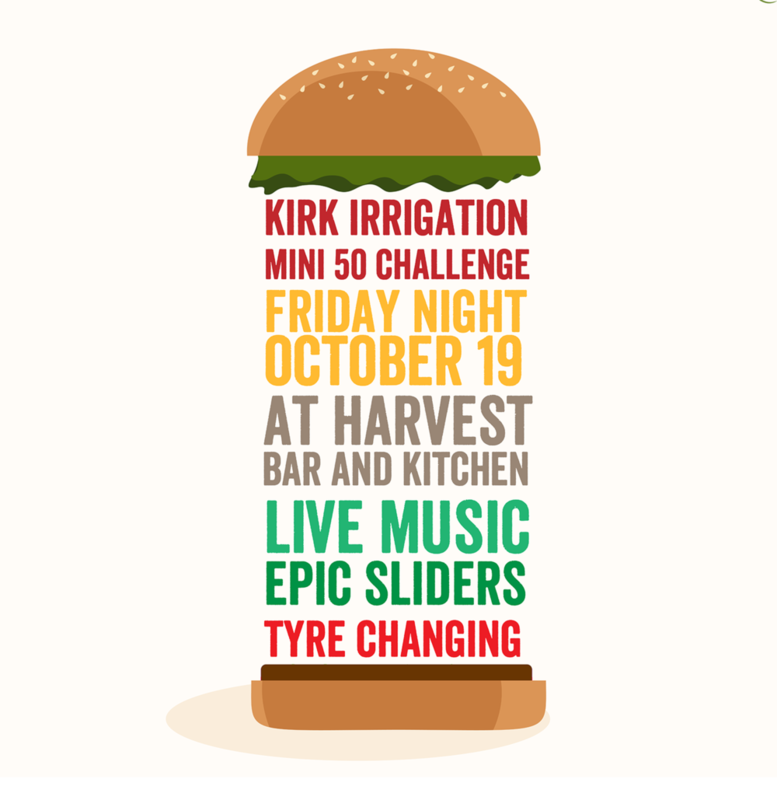 One lesser known event, held at Harvest at the completion of the ‘hill climb’, is the Kirk Irrigation Mini 50 Challenge. Technically you don’t even need to be able to drive to compete, but you should probably be pretty handy at changing tyres! Harvest is the perfect vantage point to take in the action of the Hill Climb. We suggest heading up early before the road is closed (road closed from 3pm-7pm but you can still get access up the track off Garlands Rd) and settle in for a night of street racing and tyre changing. Plus, Harvest will be serving epic sliders all night, the bar will be open of course, and you can dance the night away to live music.